STANFORD, Calif. (KGO) -- A one-year-old Southern California girl who underwent life-saving surgery at Stanford's Lucille Packard Children's Hospital is doing very well today. Paloma Bartocci was born premature with a congenital heart defect. Her parents came to Stanford's Lucille Packard Children's Hospital last Friday for a life-saving surgery on Wednesday morning with Dr. Frank Hanley. 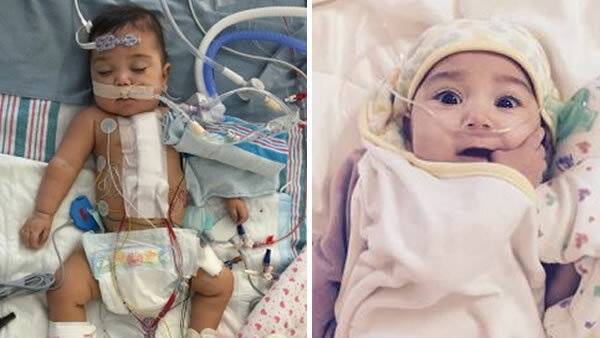 The family of one-year-old Paloma Bartocci has no where to stay as they await a surgery that will save her life. They say they're now swallowing their pride and asking for your help. She had her third surgery in 13 months this past Wednesday. Doctors are watching little Paloma very closely. Her parents are staying optimistic. 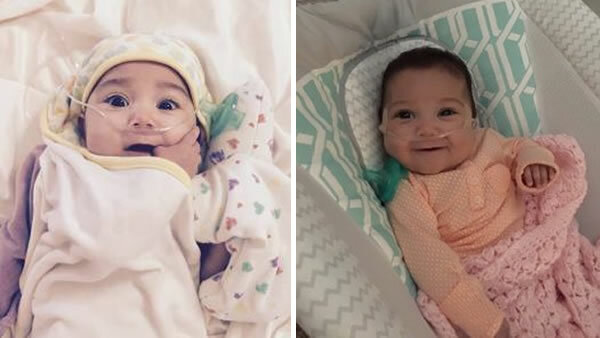 Parents of a very sick little girl are thanking ABC7 News viewers and the community for helping them in a difficult time. If you would like to help the Bartocci family, click here.